Sussex presents yet another lovely festival in our luscious county. The Lapwing Festival is set at Cuckmere Haven, Seaford, with views of the iconic cliffs of the Seven Sisters, and in its third year is now expanding to a beautiful marquee. The views of the coastguard cottages, the Cuckmere Valley, the cliffs and of course, the sea, will be breathtaking. Beauty aside, there will be four outstanding artists performing at this three day festival including Manu Delago, a master of the hang drum, an enchanting sound sculpture, Maya Youssef, “queen of the qanun” (the 78 stringed Middle Eastern plucked zither). Thomas Dunford on lute and Lea Desandre mezzo-soprano. There are five brilliant acts that will be taking the stage on this wonderful weekend. There will also be a film screening on Saturday evening, Manu Delago’s new 30 minute film ‘Parasol Peak’, a unique and awe-inspiring movie in which Delago leads an ensemble of seven musicians on a mountaineering expedition in The Alps. On Sunday there will also be a delicious buffet lunch to satisfy you through the day. The ‘Lapwing’ in the festival’s name derives from the bird itself, which was frequently seen and heard on the wing at Cuckmere Haven. Unfortunately, Lapwing populations have been significantly declining in recent years and the bird has now been given Red Status by the RSPB. The Lapwing represents the fragile and ephemeral state of the beauty of this beloved place, which we must not forget. The festival also donates profits to the Cuckmere Haven SOS campaign which aims to save the surrounding cottages from coastal erosion. 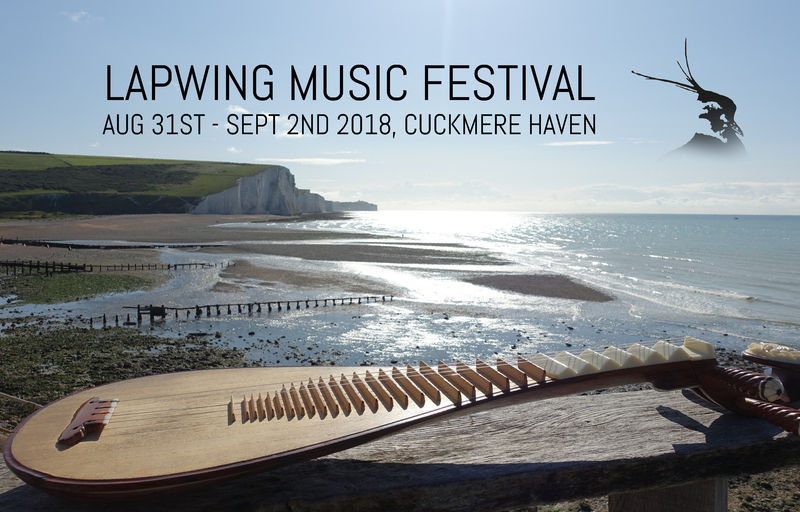 Lapwing Music Festival takes place Friday 31st Aug- Sunday 2nd Sept.